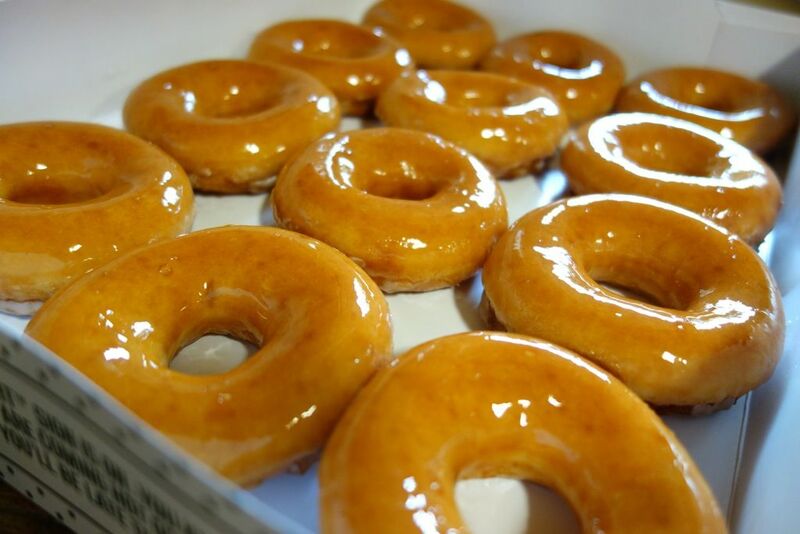 Krispy Kreme is coming to Singapore! Ok old news. I'm sure you guys already know about this long ago. I've been waiting for this day since i bit into the warm fluffy sugar dough that S went to great lengths to procure for me years ago. 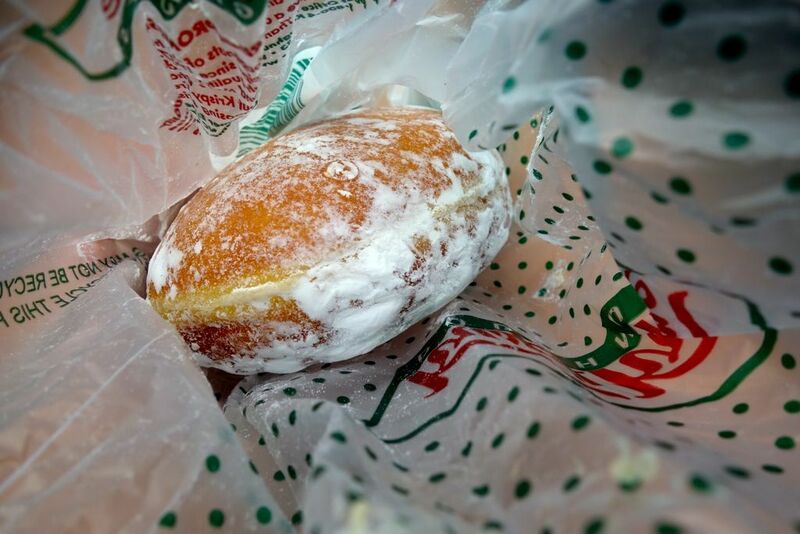 Since then, we (I) would go crazy buying KK every time we hit Hong Kong and Japan. I'm sure you've seen pictures of happy Singaporeans munching on Krispy Kreme all over social media. In the past couple of weeks, KK delivered 100 000 doughnuts to companies and schools that nominated themselves on KrispyKreme.sg. I too, got my sugar high from the 2 dozens of these sugar glazed babies sent by the nice folks at KK. Don't be jealous. 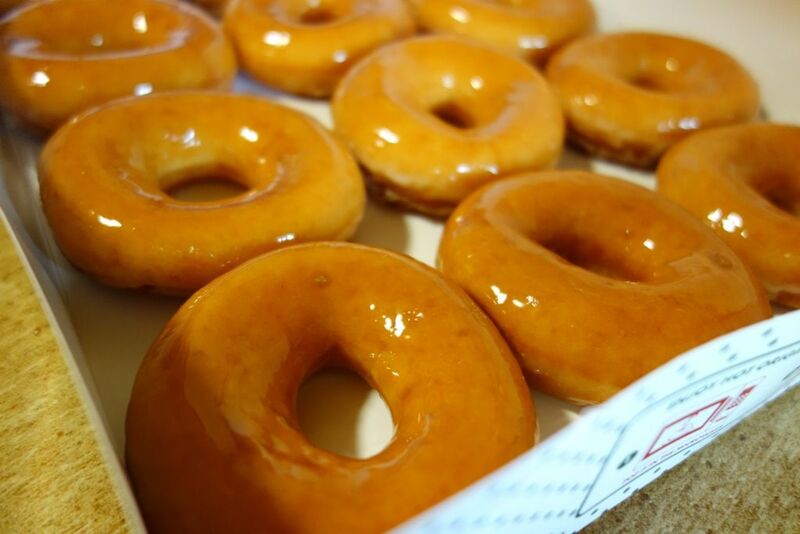 You can get your fix soon as Krispy Kreme gears up for its Grand Opening of its flagship store at Tangs Orchard Basement 1 on October 12th. Be prepared for the long queues though.. I'm gonna do a quick comparison of the Singapore version vs. the US version. It could be the heat and the delivery but the glaze melted and got soaked up so it didn't have that nice texture that i remember. I'm hoping to see the same version as i did at the US stores (pic above) when the Tangs outlet opens. I thought that the SG version was a little oily. I guess the Americans are good at making junk food appear/taste less junkish? Anyhoo, i'm not a huge fan of the original flavor, i mean, why would you go for plain when the filled shells are so much more interesting? 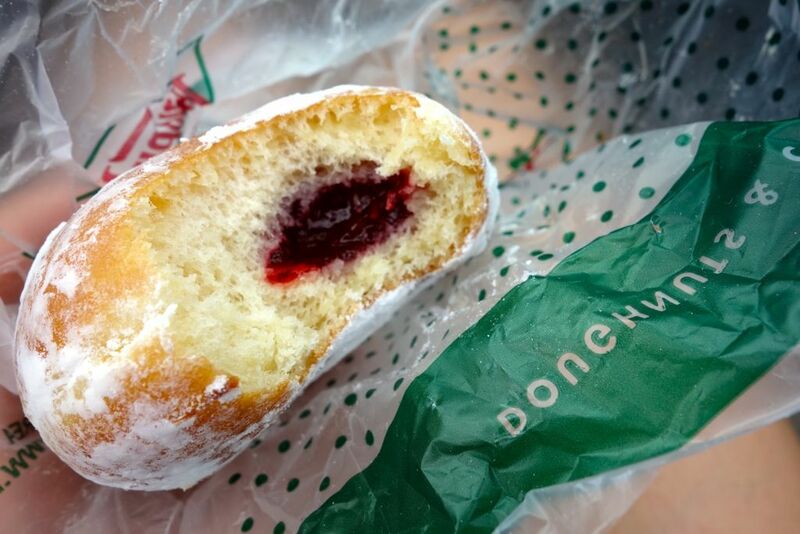 Take a look at how airy and light the Powdered Raspberry filled KK is. I cannot tell you how poofy each bite was. It was too easy to devour 2 KK in 1 seating and i had to restrain myself before i supersize myself I believe that they were pretty much gone after we pulled out of the KK drivethru. THE HORROR. I've checked out the Krispy Kreme menu for the Singapore store and my favorite flavors are available! Sorry if yours isn't. :P You have to get the Cappuccino Franco, Chocolate Iced Custard Filled and New York Cheesecake! The Chocolate DreamCake sounds very interesting and by the looks of it, it's probably a chocolate custard filled shellwith cookie bits on top. There is also a Red Velvet Cake one that i wouldn't mind trying. Good news to all doughnut fans who are planning to get their hands on the first Krispy Kreme doughnuts at the Tangs Orchard store. 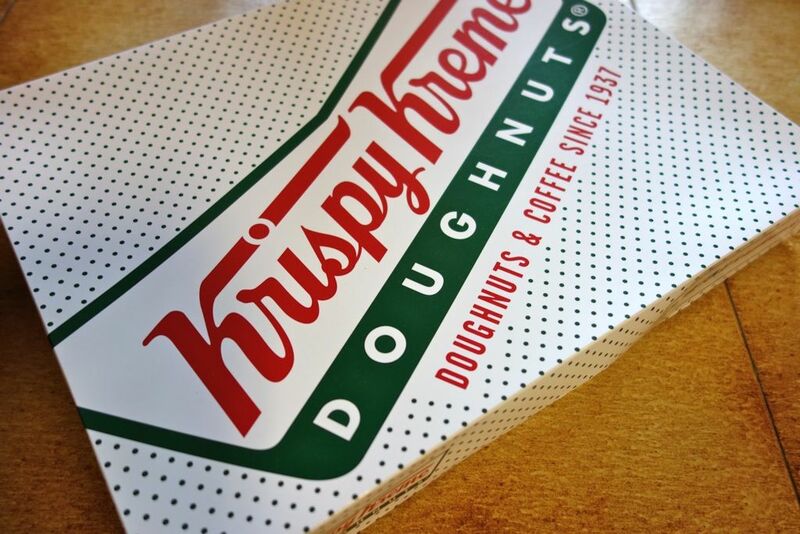 KK will be giving away up to a year's supply of Krispy Kreme Doughnuts to the firsts in line via a Golden, Silver and Bronze ticket, as well as heaps of prizes! 12 October 2013- Mark the date. 5 stores will open in the next 5 years!